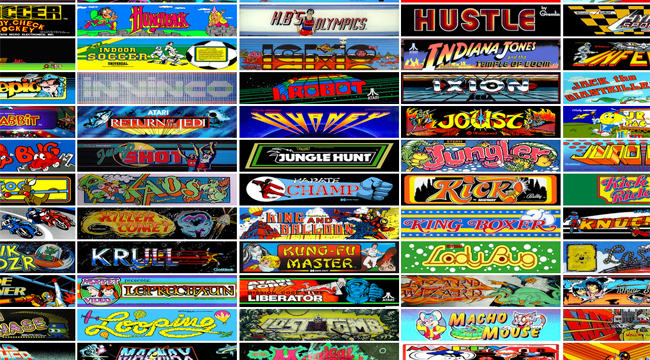 An Internet arcade just opened that features more than 900 classic arcade games. The emulated classics in this arcade include Paperboy, Centipede, Pac-Man, Galaga, Frogger, Tetris, Golden Axe, Q*Bert, Tron, and Donkey Kong, just to name a few. It also includes other rare gems like Indiana Jones and the Temple of Doom and Return of the Jedi. Although these arcade games don’t require quarters, they do require some patience. “Of the roughly 900 arcade games (yes, nine hundred arcade games) up there, some are in pretty weird shape – vector games are an issue, scaling is broken for some, and some have control mechanisms that are just not going to translate to a keyboard or even a joypad,” explains Jason Scott, head of the JSMESS project. For arcade junkies, nothing beats playing these arcade games on original upright cabinets. Still, it’s pretty fun to kill some time (and aliens, ghosts, and bad guys) playing these emulations. Head over to the Internet Arcade at the Internet Archive and watch your productivity decline. Now that I think about it, perhaps I should have included “NSFW” in the title of this post . . .